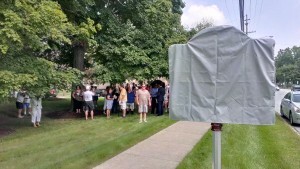 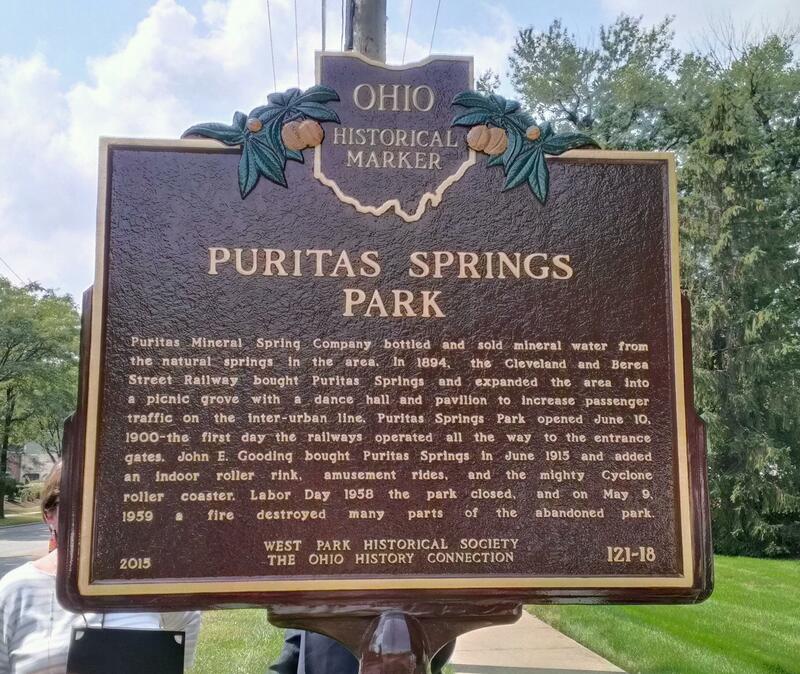 The new Ohio Historical Marker dedicated to the Puritas Springs Park has been unveiled! 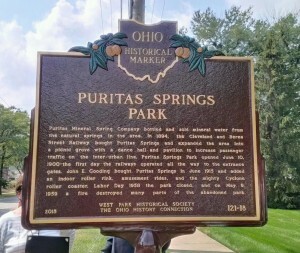 The West Park Historical Society proudly announces the dedication of the new Puritas Springs Park ~ Ohio Historical Marker! 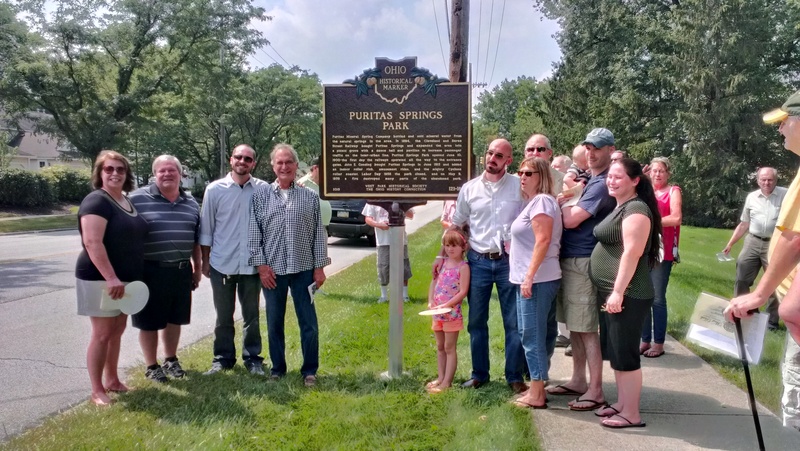 A large gathering assembled under the shade trees at the Parkridge Apartments on the corner of Puritas and W. 194th just a few steps away from the new Puritas Springs Park ~ Ohio Historical Marker. 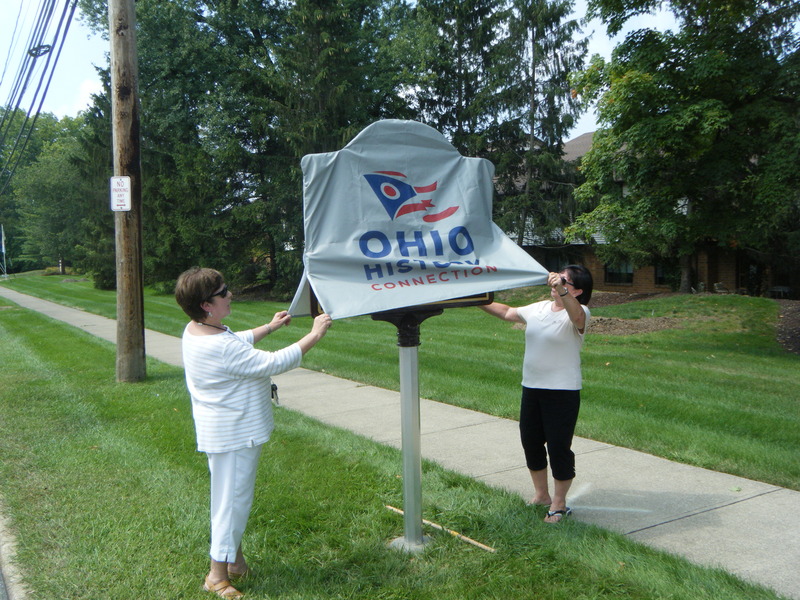 Mark Sundlov, local history office manager of the Ohio History Connection; Christine Rafalke, Elaine Staley and Ellie Mapson, the three West Park Historical Society Trustees who were instrumental in bringing this distinctive addition to West Park. 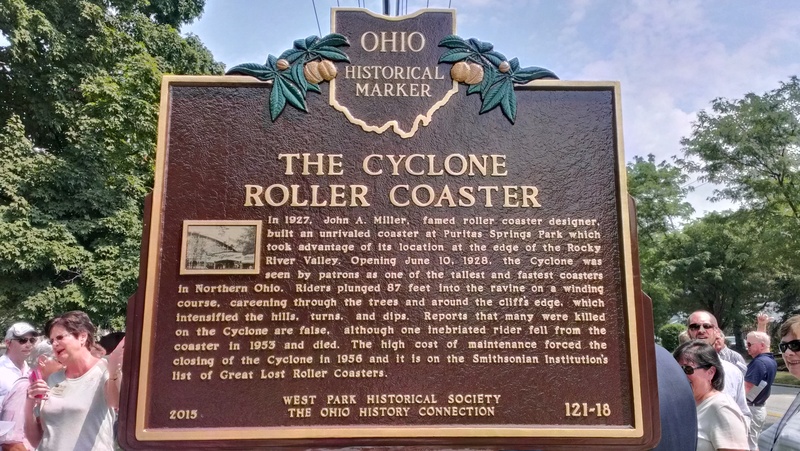 In 1915, John E. Gooding purchased then developed the former picnic grounds into the amusement park that so many fondly recall. Shown above are members of the Gooding family who were with us to help celebrate! 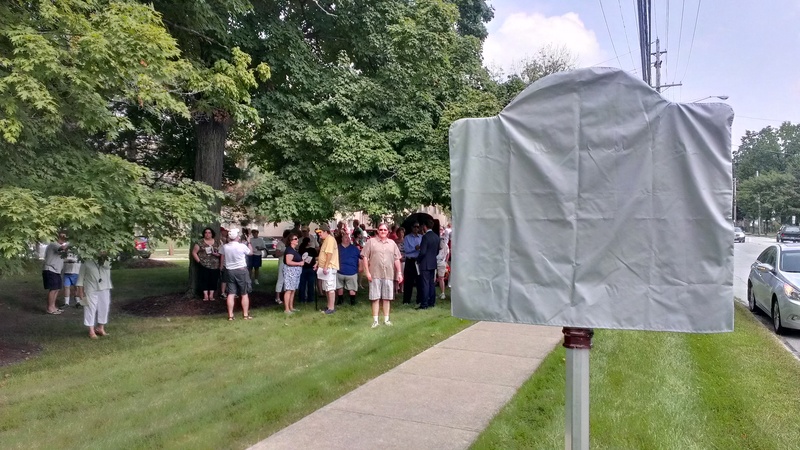 Thank you to all who shared the day with us! 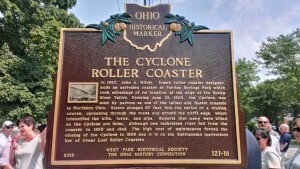 We look forward to meeting you all again at another West Park Historical Society event.